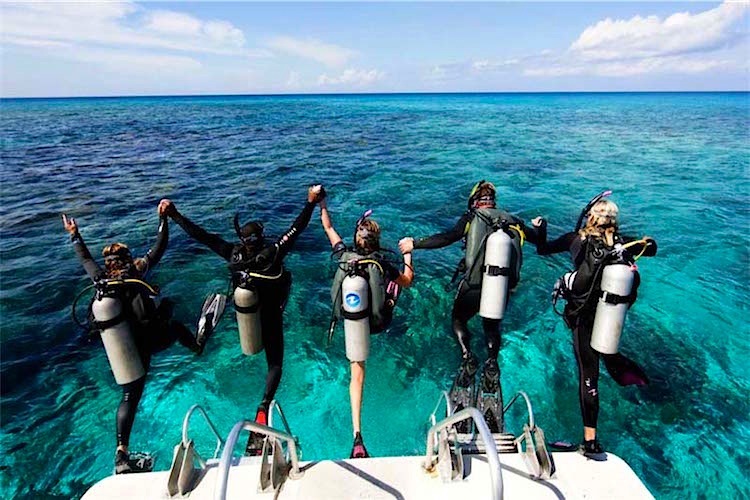 Becoming a Dive Professional with Cayuco Reef Divers! What is your current diving certification? * PADI Divemaster and EFR with < 2 years old PADI Divemaster and need an EFR update PADI Rescue Diver and EFR with < 2 years old PADI Rescue Diver and need an EFR update PADI Advanced Open Water Diver or equivalent PADI Open Water Diver or equivalent I am not certified yet! To start a Divemaster program you need to be PADI Rescue Diver and to have +40 logged dives. If you have less you will need to gain experience before you start the Divemaster. Typically it means you need an extra week to log extra 18 dives. > 100 logged dives > 80 logged dives > 60 logged dives > 40 logged dives > 30 logged dives > 20 logged dives > 10 logged dives > 4 logged dives I never dived before! Please select the program you would like to book and to participate. Please keep in mind that PADI training materials and fees are not included on the Professional Packages prices. When would you like to start your professional program? Divemaster or Instructor programs can be taught in 5 languages. Please make sure you enter the 16-digits number for VISA and MASTERCARD or 15-digits for AMERICAN EXPRESS. Balance will be charged 60 days before check-in date.